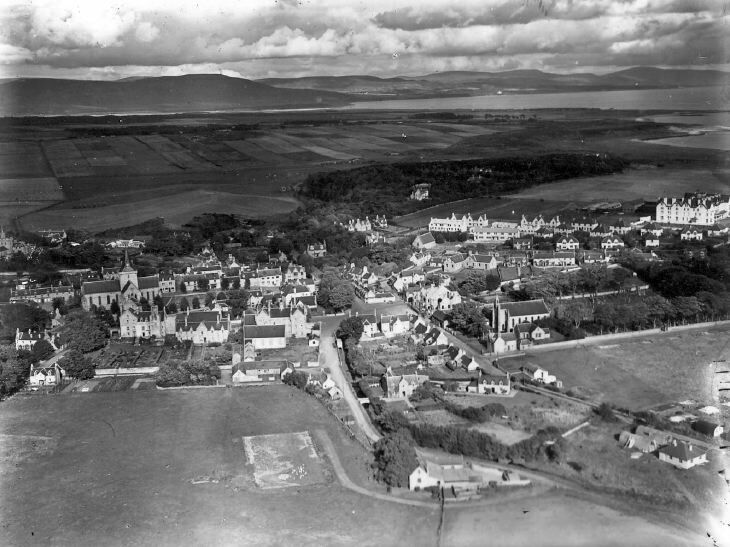 Aerial photograph of Dornoch viewed from the south with the Duke of Sutherland monument on Ben Bhraggie visible on the distant skyline. I think this is more like 1950 than 1940 as the blocks of 4 terraced houses in MacDonald Road weren't built until after the war. It looks as if the gap sites between the four blocks of terraced houses are just being worked on.